Andrea Matarazzo is a founding partner of Pioneer Law Group, LLP, bringing to the firm over 25 years of professional experience in land use, real estate development, and environmental law. Andrea is an expert in the environmental regulations that affect the way our clients do business, particularly regarding environmental review under the California Environmental Quality Act (CEQA) and National Environmental Policy Act (NEPA). She works closely with project proponents, public agencies, and environmental consultants to provide the strategic advice and reliable counsel necessary to steer a wide range of large, complex and sometimes controversial projects through the CEQA/NEPA review process. Minimize the risk of lawsuits and increase the likelihood of prevailing if litigation is unavoidable. 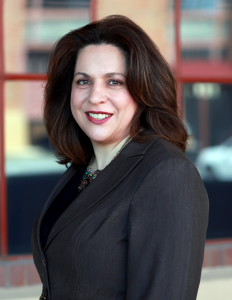 Andrea also is an experienced litigator and has defended environmental documents, exemptions, and all manner of CEQA/NEPA compliance issues in numerous matters, including many of statewide significance. Recently, she represented the team owners of the NBA’s Sacramento Kings in defeating all CEQA challenges to the City of Sacramento’s new downtown arena and entertainment complex. Two highly favorable published opinions resulted, including the Court of Appeal’s first decision concerning the constitutionality of project-specific CEQA streamlining statutes, setting a valuable precedent for other projects. Andrea also was lead counsel for the developer of the Sacramento Railyards in its successful defense against three separate CEQA lawsuits challenging the project entitlements (one of the largest urban infill projects in the country with over 2,000,000 square feet of office space entitlements and 12,000 residential units on 61 city blocks). Andrea is a member of the California and Washington State Bar Associations and is an active member of the Sacramento community. She has taught land use planning law as an adjunct professor at the UC Davis Extension, University of the Pacific, McGeorge School of Law, and served on the Board of Directors of the Sacramento Tree Foundation and the Sacramento affiliate of Habitat for Humanity. She holds a bachelor’s degree in land use planning and is a California Registered Landscape Architect.